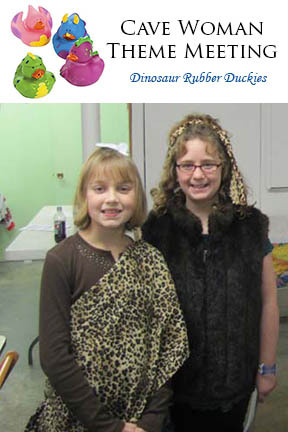 Over the past years our troop has had some fun at our meetings and camp outs by making them theme events. 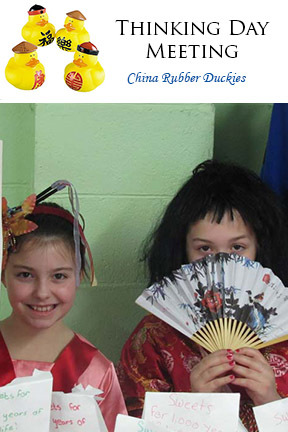 The girls have to come dressed as something and if they participate in the theme they get to collect a rubber ducky. Today I want to share a few of my themes we have done. 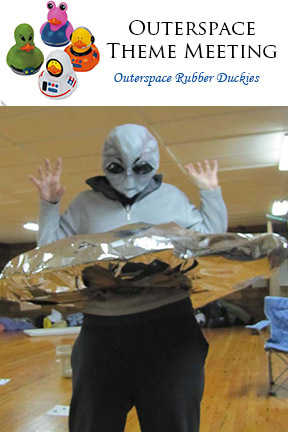 For a halloween fall camp out we did outer space theme party we played a lot of wacky games. But one game the girls really enjoyed was create your own alien out of toilet paper. Have your girls come dressed like a zombie. 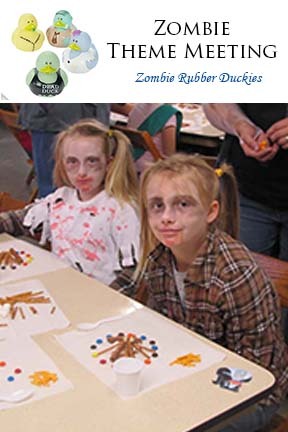 This can be a great fall idea around halloween, or even just for fun any other time of the year. We bought everything needed to do editable fires at this meeting. Start with a safety circle (paper plate). Place rocks (marshmallows) in a circle to surround the fire. to surround the fire. Add kindling (pretzel sticks) in a square or A- square or A—frame.. frame. Add tinder (potato sticks) in the center. Add tinder (potato sticks) in the center. er (potato sticks) in the center. Add red hots (coals) to the top. Add red hots (coals) to the top. Have the girls come to meeting dressed as a pirate. 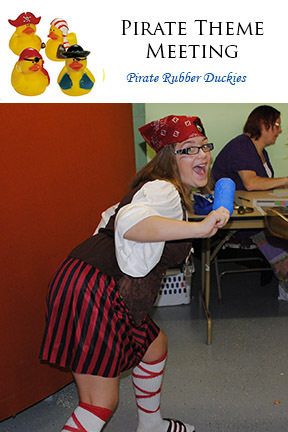 This is just a small taste of what you can do with Rubber ducky theme meetings and camp outs – we themed two years of scouting just using the ducks we found the duck we wanted then planned the meeting. It was a lot of fun and the girls loved it. At the end of the two years we asked the girls to take a picture with their duck any way that they would like. Below is a image of just a few girls and what creative things they came up with.